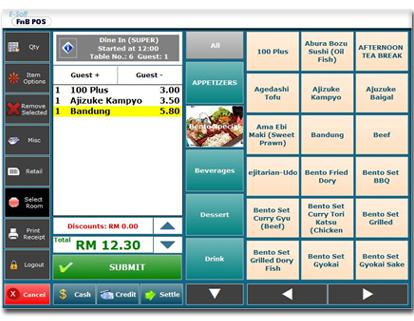 E-Soft F&B POS System is a complete Food & Beverage Management System. 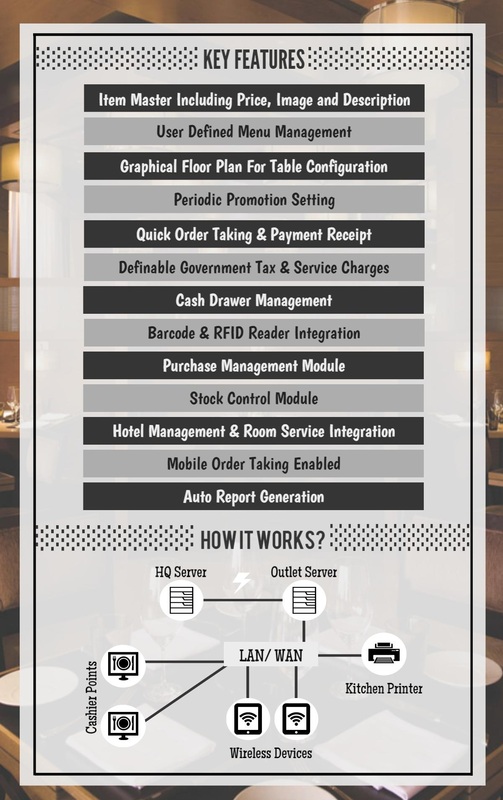 Whether you are running a fine dining or a snack bar, E-Soft F&B POS software can be configured to meet your specific needs. 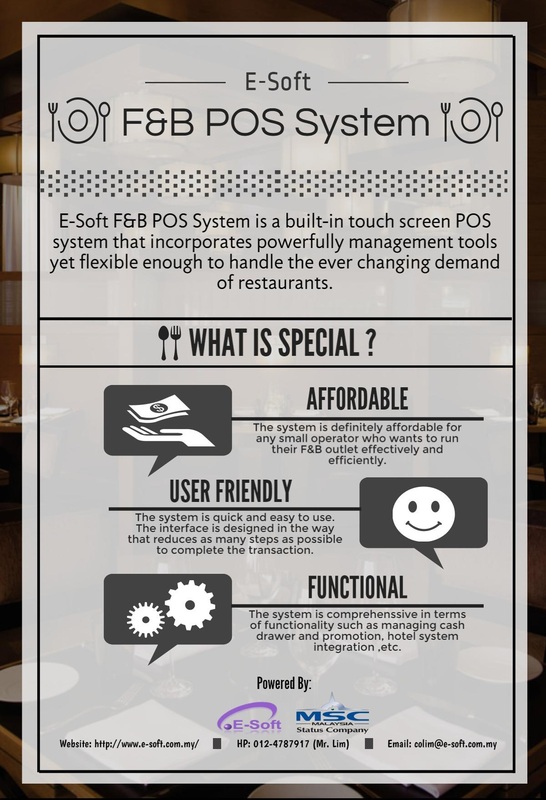 Setting up new restaurant or if your restaurant is running on paper based or other POS software solution, E-Soft F&B POS System is the ideal software to set up your restaurant management system or to replace your current system, it gives you good control and efficiency on your establishment.